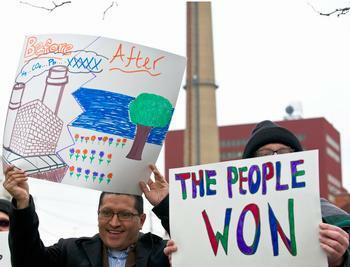 CHICAGO, Illinois, March 2, 2012 (ENS) – Community organizers in Chicago are celebrating a victory that has been 10 years in the making – the closure of two of the oldest, most polluting coal-fired power plants in the country – both in residential neighborhoods. 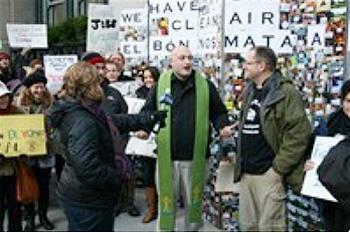 Some 60 organizations and groups worked with communities affected by air pollution to make Chicago a coal-free city. Midwest Generation, a subsidiary of Edison International, announced Wednesday that it will retire its two Chicago power plants as the result of an agreement with Mayor Rahm Emanuel and the City of Chicago in consultation with aldermen and community groups. The Fisk Station at 1111 W. Cermak Road in the Pilsen neighborhood will be closed no later than the end of this year, and the Crawford Station at 3601 S. Pulaski Road in the Little Village neighborhood will be closed by the end of 2014. 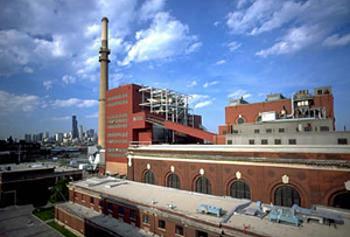 The timing of the decision and the schedule for retiring the two plants is the result of a process Mayor Emanuel began on his first day in office, May 16, 2011. The company and the city have entered into an agreement finding that this timetable achieves the objectives of the proposed Chicago Clean Power Ordinance, which demands the Fisk and Crawford coal plants reduce carbon dioxide by half and soot by 90 percent. First introduced in 2010 and reintroduced in 2011, the ordinance has not been enacted into law. Pollution from these two plants has caused up to $1 billion in health and environmentally-related damages since 2002, according to a 2010 report by the Environmental Law and Policy Center. As part of the agreement, the community, public health and environmental groups will not pursue their pending litigation against Midwest Generation. However a lawsuit brought by the U.S. Environmental Protection Agency and the State of Illinois continues regardless of the agreement. 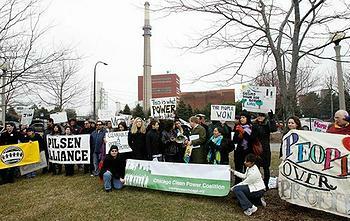 In August 2009, the federal and state governments filed a civil complaint against Midwest Generation, alleging that the company violated, and continues to violate, the Clean Air Act by making major modifications to its six Illinois power plants without also installing and operating required pollution control equipment. As a result, Midwest Generation’s six Illinois power plants, which have a combined capacity of more than 6,000 megawatts, are illegally emitting massive amounts of sulfur dioxide, nitrogen oxide and particulate matter and violated opacity limits. Learner said Chicago’s power supply will not be affected by the shut-downs. “Other people got the power – we got the pollution here,” he said. “The plants are owned by a company from California, which got the profits. They were burning coal from Wyoming, which got the profits from selling that coal, and the plants are sending power all over the country, not to Chicago. The settlement should not affect rates or reliability,” said Learner. Numerous studies have shown that the pollution from coal plants like Fisk and Crawford contributes to higher numbers of asthma attacks, especially in children, as well as more heart attacks, hospitalizations and early deaths. “Pilsen is a vibrant, working class, immigrant community, but we are plagued by the damaging health effects of the Fisk coal plant. 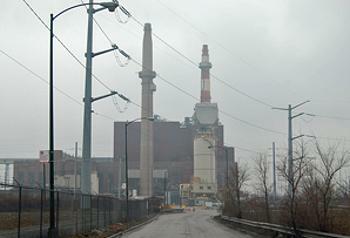 It is time for the plant to go,” said Pilsen resident Jerry Mead-Lucero. In December, the U.S. EPA found that the air in a section of Pilsen contained unsafe levels of brain-damaging lead. Pilsen is one of only five new “non-attainment areas” for lead in the country. “Pilsen has a lead emergency and can’t wait,” said Pilsen resident Ruben Franco. Leaders of the National Association for the Advancement of Colored People, NAACP, a civil rights organization for ethnic minorities, commended the agreement that will lead to the closure of the two power plants. Fisk and Crawford ranked as two of the worst environmental justice offenders in an NAACP report released last year. The report, “Coal Blooded: Putting Profits Before People in Illinois,” analyzed emissions and demographic factors, including race, income, and population density, to rank plants’ “environmental justice performance.” Fisk and Crawford both received a failing grade.